Chris & Cosey, Marc Romboy Vs Blake Baxter, Jimmy Edgar, Motor City Drum Ensemble, Morgan Geist and more. 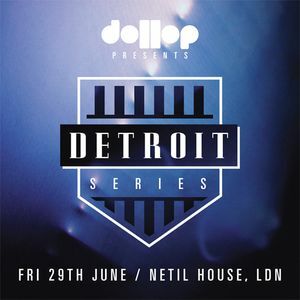 dollop present 3 dates across June and July, each headlined by the DJs/producers most associated with the birth of Detroit techno - the so-called &apos;Belleville Three&apos;: Juan Atkins, Kevin Saunderson & Derrick May. Alongside these three legendary artists we have some of UK’s best new talent and favourite DJs. The events take place in Netil House Warehouse, will be streamed live on Boiler Room with a strictly limited capacity.